In the first of Wylde’s occasional series devoted to items of exquisite luxury, we turn our attention to Saint Laurent’s pretty-much-perfect Cabas Uptown bag; an object that exudes discreet, handmade luxe from every stitch, strap and fixture. Originating in Italy, the undeniable home of high-end leather goods, this tote is an all-purpose status symbol that has classic written all over its butter-soft hide. Dimensions: 9.0 x 9.0 x 4.3 inches. 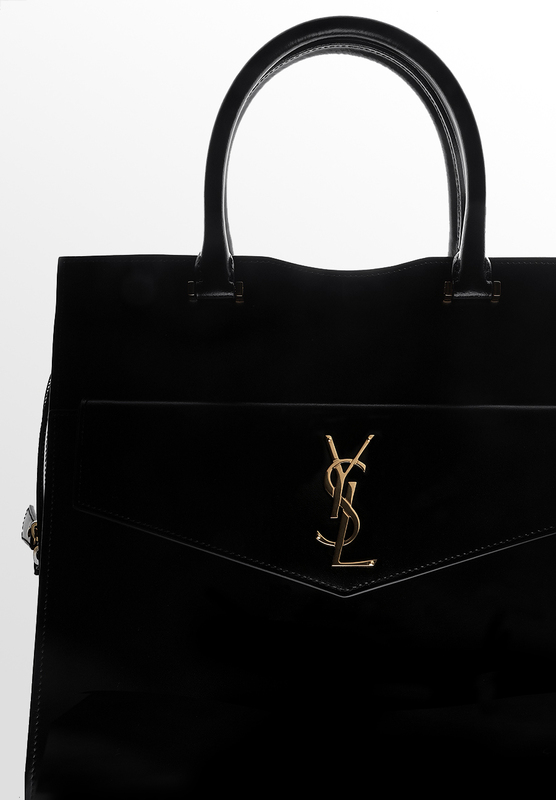 100% glazed calfskin leather, leather handles, a removable shoulder strap and a removable zippered magnetized clutch, decorated with metal YSL initials. Gold-coloured metal hardware, canvas lining, zipper closing with two pulls. Inside: two compartments, one slot pocket. One open pocket o the front with a removable envelope clutch with a magnetized snap closing.. Handle drop: 9cm. Shoulder strap drop: 54cm. Made in Italy.